The novena can be found here. 2. 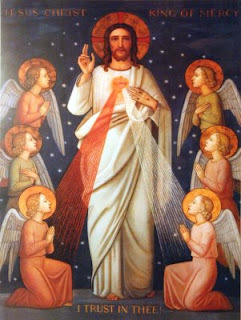 The Divine Mercy Novena. A very powerful novena that our Lord Himself gave to St. Faustina, in order to prepare souls for the great feast of Divine Mercy. It begins on Good Friday and ends on the vigil of Divine Mercy Sunday. The novena can be found here "
I desire that during these nine days you bring souls to the fountain of My mercy, that they may draw therefrom strength and refreshment and whatever grace they have need of in the hardships of life, and especially at the hour of death." This is the oldest novena known in the Church. 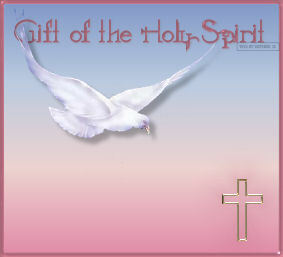 It begins 9 days prior to the vigil of Pentecost. It is simply a very beautiful and spiritually moving novena! In addition, for those times when we need spiritual assistance, there is no better novena than the one Blessed Mother Teresa had a devotion to...the express Memorare novena. You pray the Memorare of our Lady nine consecutive times. 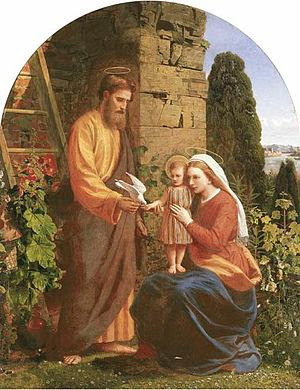 Picture source: internet "...Blessed be the God and Father of our Lord Jesus Christ, who in his great mercy gave us a new birth to a living hope through the resurrection of Jesus Christ from the dead, to an inheritance that is imperishable, undefiled, and unfading, kept in heaven for you who by the power of God are safeguarded through faith, to a salvation that is ready to be revealed in the final time. In this you rejoice, although now for a little while you may have to suffer through various trials, so that the genuineness of your faith, more precious than gold that is perishable even though tested by fire, may prove to be for praise, glory, and honor at the revelation of Jesus Christ Although you have not seen him you love him; even though you do not see him now yet believe in him, you rejoice with an indescribable and glorious joy,as you attain the goal of [your] faith, the salvation of your souls. 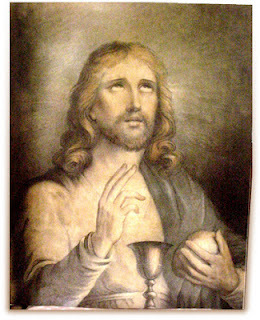 Concerning this salvation, prophets who prophesied about the grace that was to be yours searched and investigated it, investigating the time and circumstances that the Spirit of Christ within them indicated when it testified in advance to the sufferings destined for Christ and the glories to follow them.It was revealed to them that they were serving not themselves but you with regard to the things that have now been announced to you by those who preached the good news to you [through] the holy Spirit sent from heaven, things into which angels longed to look. Therefore, gird up the loins of your mind, live soberly, and set your hopes completely on the grace to be brought to you at the revelation of Jesus Christ. Like obedient children, do not act in compliance with the desires of your former ignorance but, as he who called you is holy, be holy yourselves in every aspect of your conduct, for it is written, “Be holy because I [am] holy.” Now if you invoke as Father him who judges impartially according to each one’s works, conduct yourselves with reverence during the time of your sojourning, realizing that you were ransomed from your futile conduct, handed on by your ancestors, not with perishable things like silver or gold but with the precious blood of Christ as of a spotless unblemished lamb. He was known before the foundation of the world but revealed in the final time for you, who through him believe in God who raised him from the dead and gave him glory, so that your faith and hope are in God.